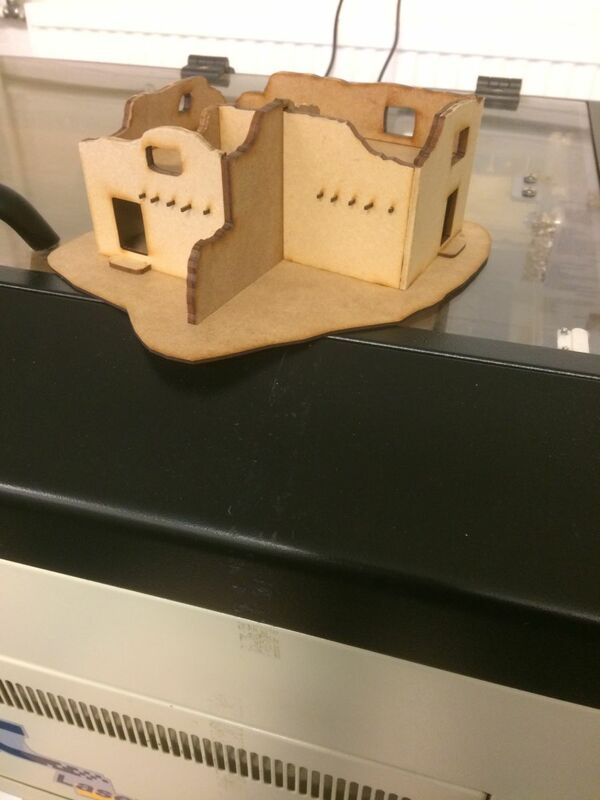 28 mm scale Afghan Adobe Ruin model. 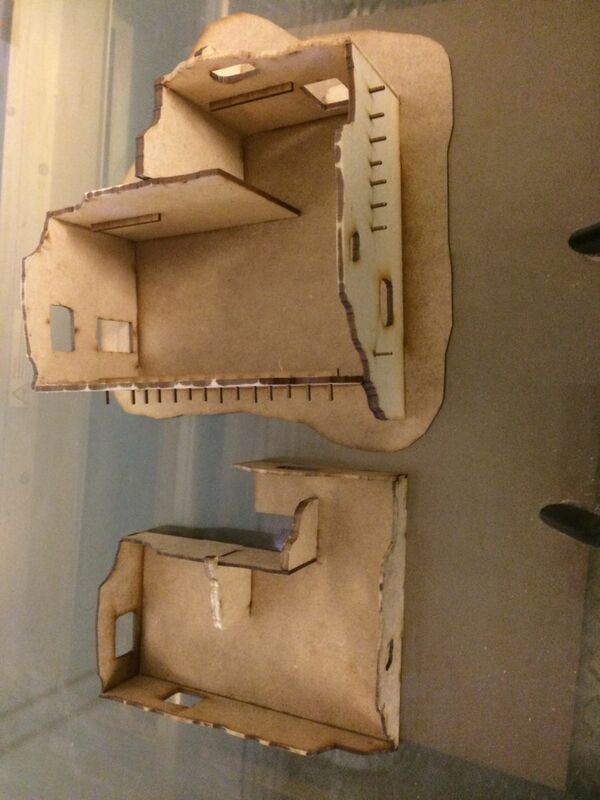 laser cut 2 mm MDF base and top floor pieces. Main ground floor cut from 3.2 mm lasered MDF. Ideal to add to our North African buildings. height walls approx 80 mm. Model needs assembly and best to glue.